Start your week brings together trending topics and blogs on innovation, open policy making and design. It comes out every monday morning. You can see all of the previous ones here. This week: design thinking. Design thinking started in product design as the process of designing physical products - from shampoo bottles to pens and iPods. It was a way of working that put users and understanding what a user needs at the core of the process of creativity. As products begin to take a secondary importance in a world of services and screens, the tools and ways of thinking that created such amazing products as the iPhone are now transforming into ways of working and creating services and experiences. These services, experiences and policies understand users and design for them and with them. 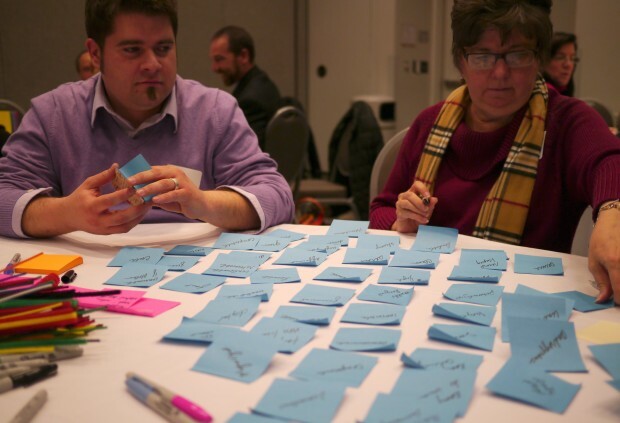 So what is design thinking? how does it impact policy making? We've put together a few articles below to help you understand and begin to think more like a designer. The Harvard Business Review (HBR) has a fantastic article on 'Design Thinking Comes of Age' that looks at how large corporations and organisations are putting design at the heart of their business plans. It's a great introduction to the topic. Next up, again from the HBR, Tim Brown the Director of IDEO has written 'Design for action' which looks at the history of the process of Design Thinking, from Architecture to the iPod and how it enables massive change for companies and industries. A few case studies now - Pepsi has taken design thinking so far that it's ditched the annual performance review. You'll need to log in to read this one. It's available here. Airbnb has revolutionised how people take holidays and how people make money - it's been called the destroyer of capitalism and the killer of hotels, but what makes it so popular? An understanding of users and needs enabled the startup to go global. 'How Design Thinking Transformed Airbnb from a Failing Startup to a Billion Dollar Business' explains. So what does design thinking actually mean? Is it hiring a well known designer? is it shouting 'we do design!' from the rooftop? Or is it actually just sitting down and building incredible, innovative experiences? Kevin McCullagh argues it's the latter with 'Stepping Up: Design Thinking has uncovered real opportunities'. Follow us on twitter (@openpolicyuk) to learn more about Open Policy Making and tweet us your interesting articles or news.